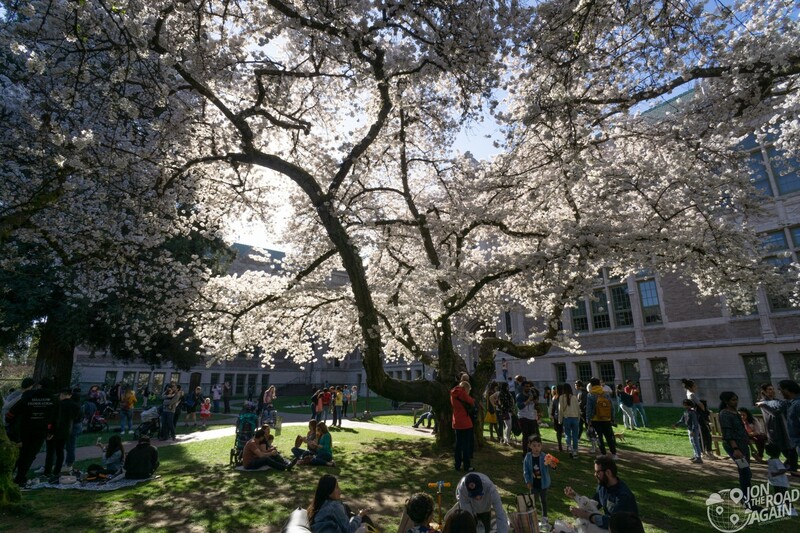 I’ve lived in Seattle for over a decade and have never visited the UW Cherry Blossoms. That ends today! 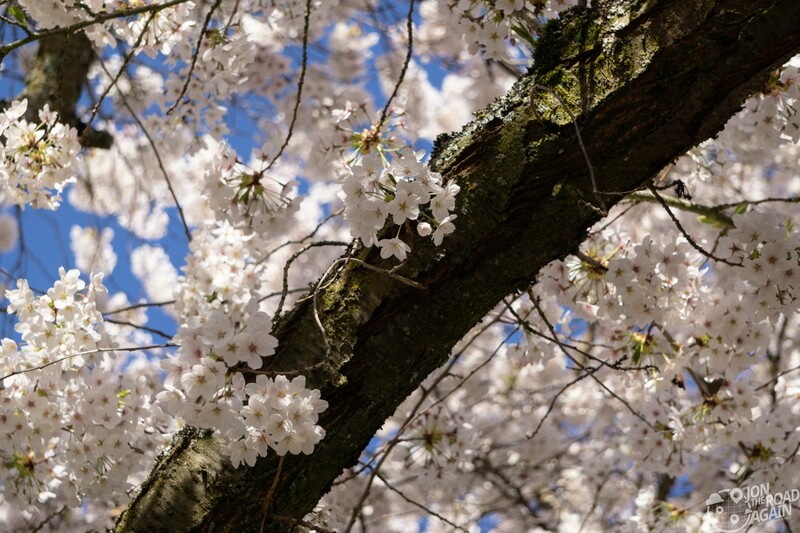 The first weekend of spring has brought warmth and sun, and the cherry blossoms are at their peak. 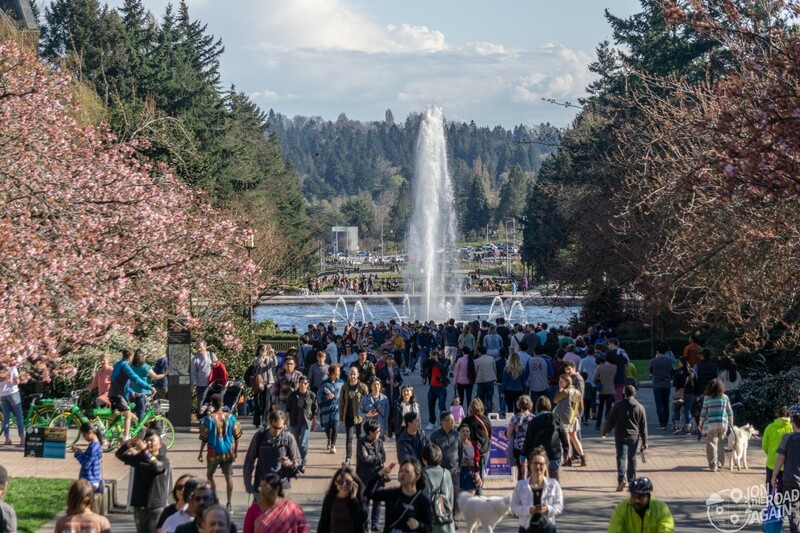 The people of Seattle have come out of their hibernation and I think all of them have made their way to see the cherry blossoms today. 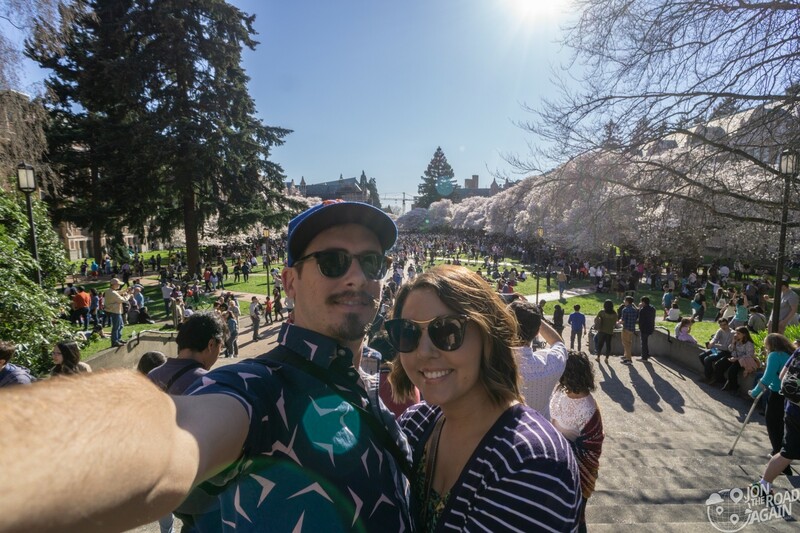 Although it was a little crowded, it didn’t diminish our enjoyment of the blossoms. 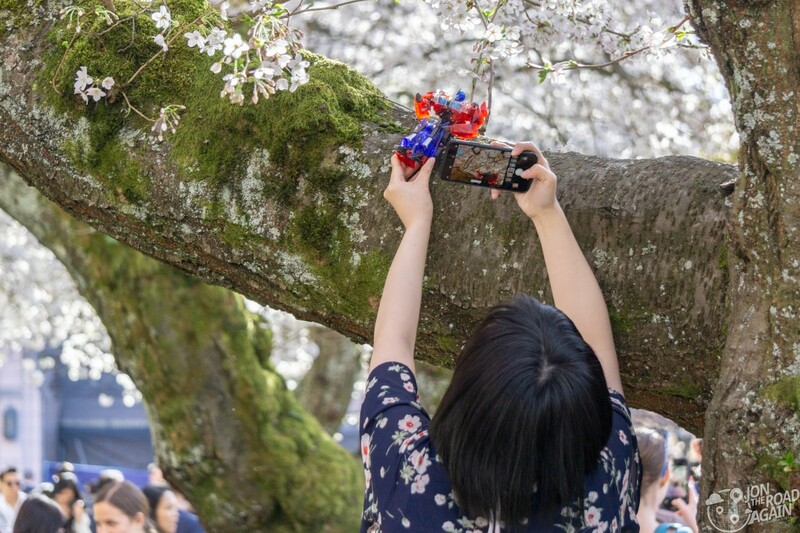 There were still plenty of opportunities to see the blossoms and get those all-important selfies. By the way, can someone point me to this girl’s Instagram? I hope it’s just more photos of Optimus Prime enjoying life. I also liked seeing how everyone enjoyed the blossoms in their own way. You had Optimus Prime girl of course, but plenty of others just joining together for a group photo or rolling out the blanket for a picnic. 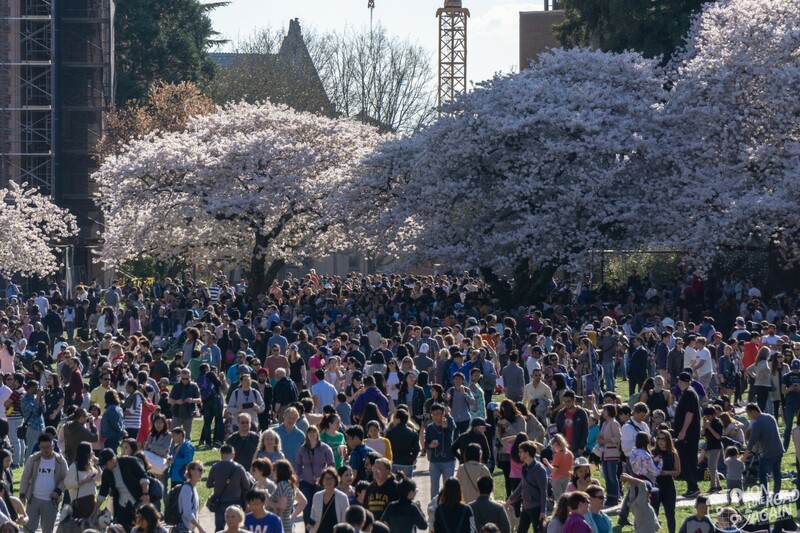 The thirty trees have been on the UW Quad since 1962. They were transplanted here from their original location in the Washington Park Arboretum where they had been since some time before 1936. The move was made necessary by the construction of Highway 520. During highway construction in the early ’60s, the UW’s architect at the time, Fred Mann, drove by the arboretum every morning on his way to work and wanted to save the trees. UW President Charles Odegaard agreed with Mann. After all, he drove by those trees every morning, too. The arrangement of the trees in the Quad was designed by Eric Hoyte, the university landscape architect. 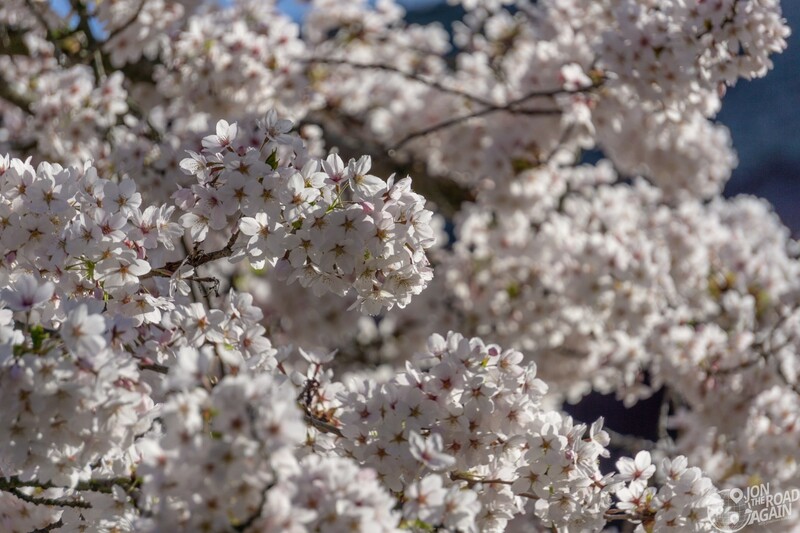 These Somei-Yoshino flowering cherries, or Sakura if you want to use the Japanese term, are the same type of tree that is planted around the tidal basin in Washington, DC and celebrated during the National Cherry Blossom Festival. The history of the trees prior to 1936 is a mystery. They were likely donated from Yokohama, Japan. 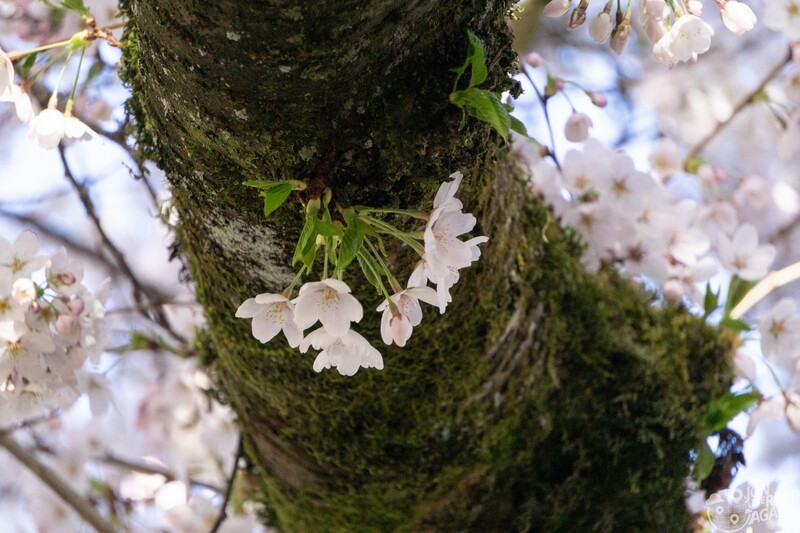 An article in the Arboretum Bulletin published in the spring of 1953 says that approximately 4000 various species of cherry trees were gifted to Seattle from Yokohama City in 1930. UW has many more trees throughout campus including clones of the Quad’s trees. These trees were grown at nurseries near Mt. Vernon, WA and planted in Parrington Lawn in 2017. 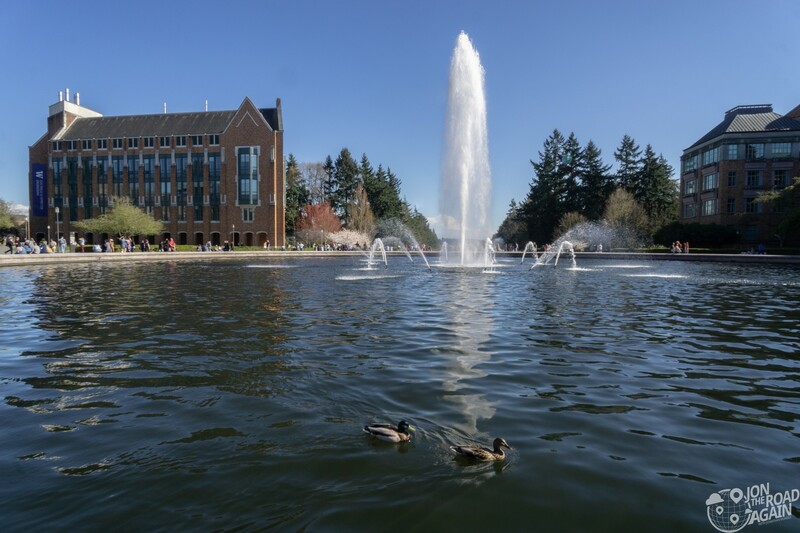 Once you leave the Quad (or before you get there, depending on where you park) make sure to walk to the Drumheller Fountain nearby. The UW campus is built on the site of the 1909 Alaska Yukon Pacific Exposition. The master plan of which was created by the world famous landscape architects the Olmstead brothers. The fountain is one of the remaining parts of the original plan you can visit today. We visited another Olmstead-planned park in Spokane called Manito Park. The fountain is also known as “Frosh” Pond, since in the olden days new Freshmen would get dumped into the water. Today you’re likely to see more fowl than frosh. 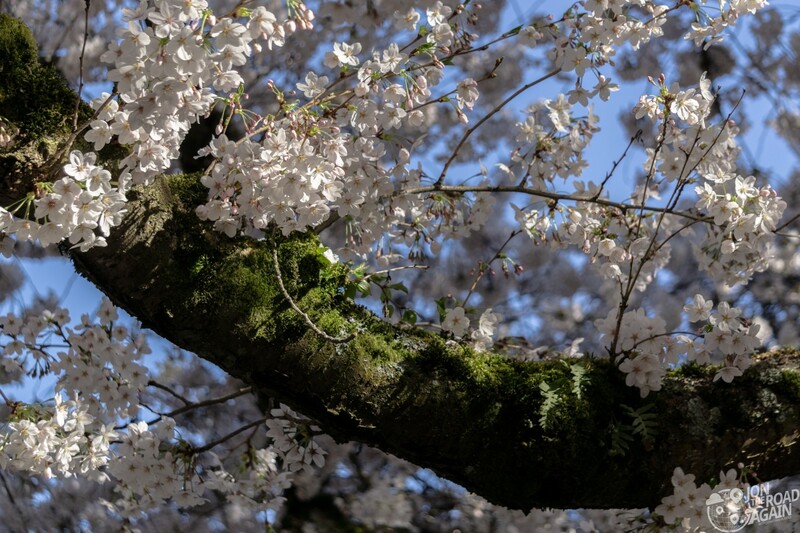 A UW exchange student from Tokyo named Yuki Shiotani researched the trees and created an incredibly fascinating look at their history. 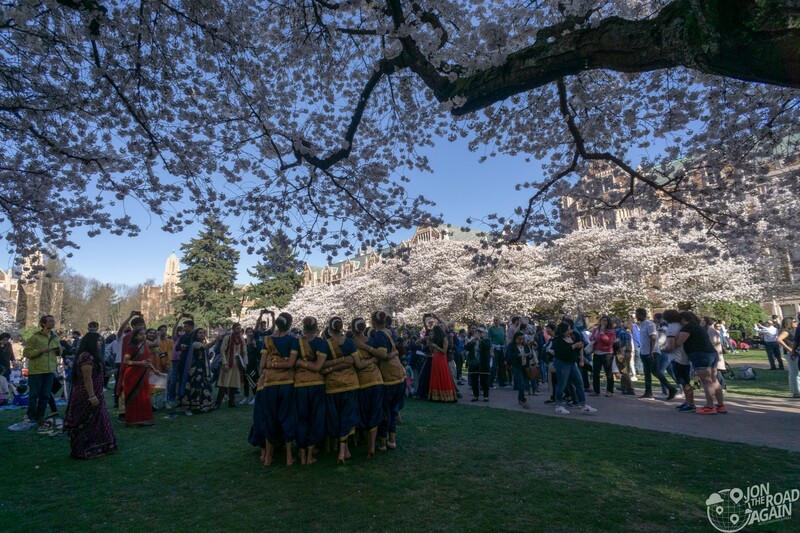 Most of the facts contained in this blog post were pulled from his thesis History of the Cherry Trees in the Liberal Arts Quadrangle at the University of Washington. It is a recommended read! His research re-discovered the “cloned” trees that were located in Mt. Vernon, WA and led to UW taking action and planting them on the UW campus. Peak bloom happens quickly and can disappear quickly, too. 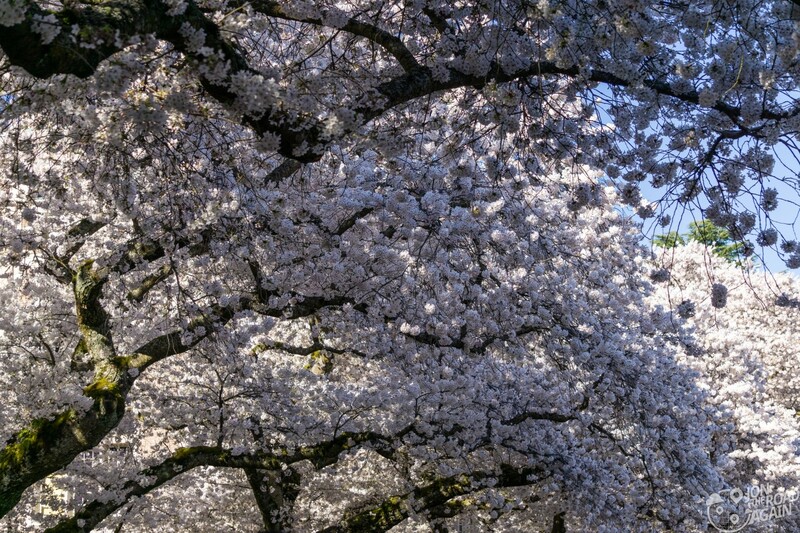 Peak bloom is when at least 70 percent of the blossoms have emerged. 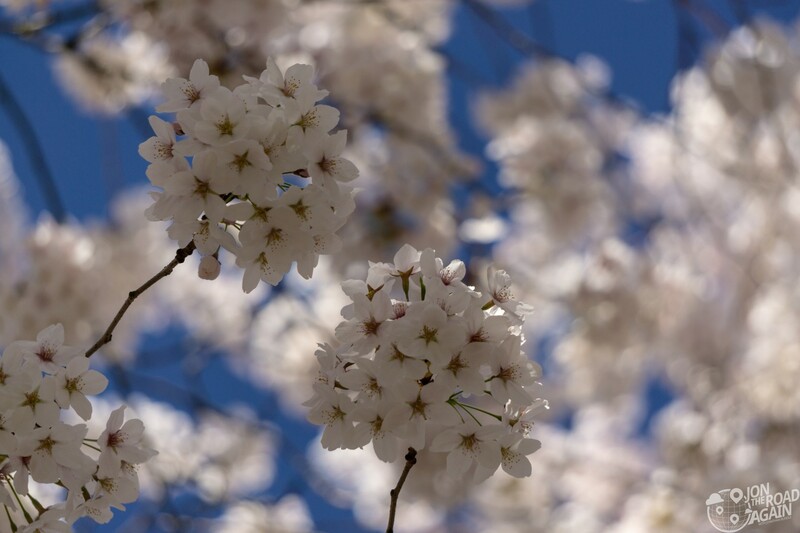 If it stays cool, with little rain or wind, the blossoms could stay on the trees for as long as two or three weeks. If it rains, they’ll fall off. 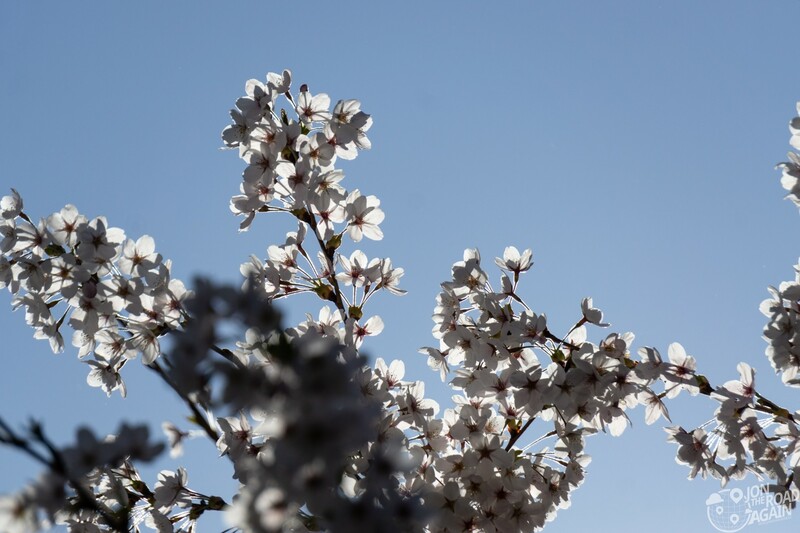 Check out the blossoms anytime using the UW Cherry Blossom Webcam and monitor their Twitter during bloom season.